Many years ago, when the Boston City Council was debating making the possession of an “assault weapon” a violation of city ordinance carrying a $10,000 fine, I pointed out that because the ordinance had to be adopted by the state legislature as a “special” state law, the net result of the ordinance would be to reduce the penalty for carrying an “assault weapon” without a state license from a five year felony with a mandatory one year to serve (state law penalty for the unlicensed carrying of any gun), to a misdemeanor for which no prison time could be given. I argued that the ordinance would not reduce the illegal use of guns but promoted the use of so-called assault weapons in crime. The City councilors admitted the validity of my argument. They agreed that the ordinance would not accomplish anything―but they passed it anyway, saying they just wanted to make a statement. Unfortunately, too many elected officials “just want to make a statement.” They want to look like they are doing something about a problem when, in fact, they are doing nothing. The “gun deaths” that the anti-gun crowd likes to talk about, are not the problem. If everyone killed by a gun were killed by some other means, they would still be dead. A person with a desire to kill will find a way. Without guns your mass murder can kill with motor vehicles, incendiaries and homemade explosives. Murder, even mass murder, existed long before there were guns. What did not exist before guns, was the ability of the average citizen, man or woman, to effectively defend him or herself from a burly attacker. One of the latest anti-gun fads is to try to raise the age at which a person may own a gun to 21. Their thought is that all people under 21 cannot be trusted. If people in the age group of 16 to 21 years were having accidents with guns, like they do with cars, you might say they are not mature enough to handle a gun. There are over 40,000 fatal car accidents each year, but accidental deaths from firearms continues to drop. It is now less than 500 per year. In a population of over 326,000,000, five hundred accidents is an insignificant number. About 20 million Americans fall into the 16 to 21 age group. Even if all 500 fatal gun accidents fell into that age group―and they do not―the number is insignificant statistically. The accidental death rate due to guns is so low, that anti-gun groups now use a 10-year total of firearms accidents to get to a figure that sounds impressive. In the alternative, they lump together criminal homicides, justifiable homicides (self-defense) and suicides to reach a higher number of “gun deaths.” The “gun death rate” is distorted by the number of suicides which is almost twice the number of people who are shot by someone else. Suicide is a mental health problem and needs to be looked at and addressed as such. There are many ways of committing suicide without a gun. Although mass shootings are headline-catching events; they have not done much to change the rate of murders committed with guns. The murder rate peaked around 1980 and has, with slight fluctuations, been falling ever since. Stripping citizens who are between the ages of 18 and 21 of a basic Constitutional right is not the answer to any problem. These men and women are being discriminated against just as surely as were the Japanese citizens who were rounded up and placed in concentration camps during World War II. Individuals should be accountable for their own actions. They should not be punished because of some class they happen to belong to. If you could show that 90% of the people who committed crimes came from one ethnic group, that would not justify punishing the entire group. The same is true of age groupings. The argument for such action is based on a failure of logic, a “non-sequitur.” The question should not be how many bad guys come from the statistical sample; but, how many people in the statistical sample are bad guys. If 90% of the bad guys are right-handed (statically only 10% of the population is left-handed), that does not mean that 90% of right-handed people are bad guys. Even if 90% of right-handed people were bad guys, that would still not justify punishing the 10% who were not. Most people between 17 and 21 are good people. To strip even one innocent person of his or her civil rights because of the act of some different person, violates the very core of American Constitutional Values. We know that citizens in the 17 to 21 age group can be responsible. West Point and the other service schools; private military schools such as Norwich University, VMI, and the Citadel; and the ROTC program located in public and private colleges across the country, have been training people in the 17 to 21-year-old age groups to be military officers for 200 years. On graduation, those men and women are entrusted with our country’s safety. Their training includes the use of firearms. The training programs also teach discipline, responsibility, ethics and public service; topics frequently missing from our public school classrooms. 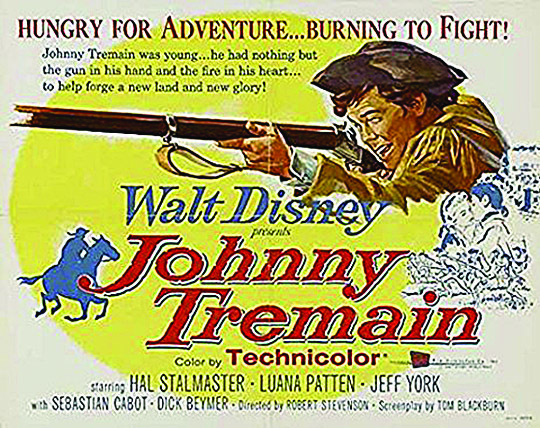 Lobby card from the 1957 Disney production of Johnny Tremain, based on the 1943 Ester Forbes’ Newberry Medal winning young adult book. The book tells the story of 14-year-old Tremain and his involvement in the American Revolution. Those promoting increasing the age to own a gun to 21 years confuse several very different legal concepts. Under the English Common law, a person was not considered an adult ( a full citizen) until he or she was 21 (called the “age of majority”) or “emancipated.” Prior to emancipation, a person was considered a child who was under the control of his or her parent. He or she could not contract, could not write a will, get married, decide to have an abortion, give permission to receive medical care, be a witness on a legal document, buy or sell property or enter into a lease. The parent (or the government as the parent’s substitute) had the right to decide whether the child could get married, could require a child to go to school, and prohibit a child from doing things society thought was “bad,” such as smoking. The child could not vote or serve on a jury. On the other side of the equation, a parent was obligated to support the child until he or she was 21. There were ways, however, that a person could be emancipated (freed from parental control) before the age of 21 and gain the right to contract or make other decisions on his or her own. If the child became financially independent of the parent, he or she was considered emancipated. If the child entered the military or got married, he or she was also considered emancipated. During the Vietnam War, the argument became, if a young man was old enough to be drafted and sent to war, he should be old enough to vote. The Constitution was amended in 1971 to drop the voting age from 21 to 18. Most states followed the federal lead by dropping the “age of majority” from 21 to 18. In Alabama and Nebraska the age was set at 19. Mississippi retained 21 as the age of majority. Some may argue that 18 is too young for a person to be considered an adult; but, 18 is the age for full citizenship in the United States. Voting is an important right that impacts the entire country. If a person is mature enough to make an informed decision to elect our leaders, then he or she is mature enough to enjoy the full rights and obligations of citizenship. Some may point to states that have increased the drinking age to 21 but that is not a valid precedent for changing the age for gun ownership. When the 21st Amendment repealed alcohol prohibition, it gave the states broad authority to restrict the consumption of alcohol. Even when the age of majority was 21, minors still had basic Constitutional Rights. Even children have a right to not be deprived of life, liberty or property without due process of law. As against persons not their parents, children have the right of free speech and privacy. 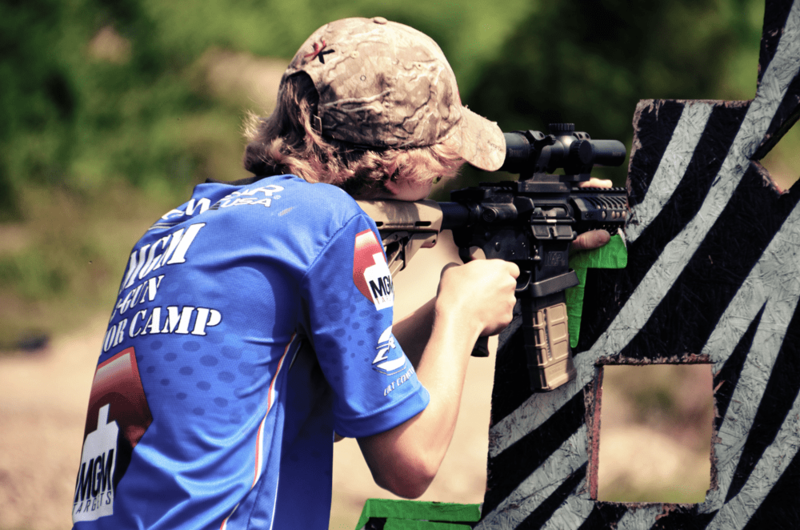 Most importantly, they have the right of self-defense no matter what their age. The core of the 2nd Amendment is self-defense. Whether or not a minor under the age of majority can have a gun, was historically the parent’s decision with one exception which will be discussed below. The question becomes: Are people under the age of 21 included within the militia of the 2nd Amendment whose training in the use of arms is necessary to the security of a free state? 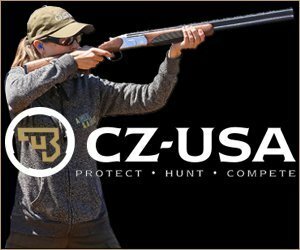 Are people under the age of 21, as a class, the “people” of the 2nd Amendment whose right to keep and bear arms was to be free from infringement? For those between the ages of 16 and 21, the answer is most assuredly yes. Each of the original East Coast colonies that formed the United States had organized militias dating back to the earliest days of their settlements. The concept of a force of armed citizens who would defend their community from attack or lawlessness came from England. The first militia muster in English North America took place in Salem, Massachusetts, in 1636, about ten years after Salem was settled. The early militia was described as being all males capable of bearing arms. Some, such as Quakers and Indians, were exempt. Servants and apprentices were not exempt. Each man was required to bring his own weapon, a musket or a pike. Leading up to the American Revolution, all the colonies, with the exception of Pennsylvania which was heavily Quaker, developed more specific militia laws. With a few exceptions, the militia consisted of all able bodied males between 16 and 50, or 60 as the upper age. This was not something a 16-year-old needed his parents’ consent to do. This was his civic obligation. If a 16-year-old failed to register for the militia, failed to show up for drill, failed to be mustered into service if called upon, or failed to supply his own weapon, he could be fined or imprisoned. He was expected to drill with, and know how to use, his musket. In Massachusetts boys as young as 10 years old could volunteer for the militia with their parents’ consent. The average age of soldiers in the Revolution was 20-25. That means a sizable number were under 20. The pension rolls reflect that some men were only 16 when they fought for liberty. There are stories of men shouldering a musket at 14. Musicians and “powder monkeys” in the navy could be as young as 10. The Marquis de Lafayette was commissioned a Major General of the Continental Army at the age of 19. He commanded thousands of Americans at the Battle of Brandywine when he was only 20 years old. Most states have laws today that define who comprise the state militia. With few exceptions, the legal definition of “militia” though out the United States is all able bodied citizens, between the ages of either 17 or 18 and 45 or 50. Federal law, 10 U.S. Code, sec. 246 sets the age for the militia of the United States being between 17 and 45. Within 30 days of turning 18, men must still register for the draft with the Selective Service even though the draft ended in 1973. Before 1973, the United States had universal military service for most able-bodied males unless they could fit specific exemptions. Those men were all trained in the use of firearms. With parental consent, a man or woman can join the armed forces today at the age of 17. Gen. George S. Patton of World War II fame, graduated from West Point and was a commissioned officer in the Army at the age of 19. In World War I, half of the American Army was between the ages of 18 to 23 and 1/4 of those soldiers needed their parents’ consent to join; that is they were under 18. Although the average age of soldiers in World War II was 26, the Army was drafting men who were 18 years old. The youngest serviceman of that war enlisted at the age of 12 by falsifying his age. Audie Murphy, one of the most decorated soldiers of World War II, was awarded the Congressional Medal of Honor at the age of 19. In Vietnam, it is estimated that 61% of those killed were 21 years old or younger. When the World Trade Center was attacked by terrorists, and National Guardsmen were called up all over the country to protect government buildings, nuclear power plants, and airports, some of those soldiers carrying machine guns to protect the rest of us were under the age of 21. Our freedom has been purchased, in part, by the blood and courage of men and women who were between 17 to 21 years of age. How do you tell a combat veteran returning from the Middle East that he or she can be sent to fight by the order of politicians; but, if he or she is married with a family, that same soldier sporting combat ribbons for service to country, cannot have a gun at home to defend his or her family? The fact that some people between the ages of 17 and 21 behave inappropriately does not mean all people between the ages of 17 and 21 behave inappropriately. Our 18-to-21 year old citizens are full citizens and should have the full and essential rights of citizenship including the right to own a gun for self-defense. They are now, and have historically been, part of the militia that can be called upon to fight for this country. Marksmanship skills cannot be taught overnight. They are developed over many hours of practice. Those who can be called upon to place their lives in danger to defend the country, should have the ability to train with firearms before being called to serve. Their lives, and every citizens’ safety, may well depend upon the skills they developed as a civilian.